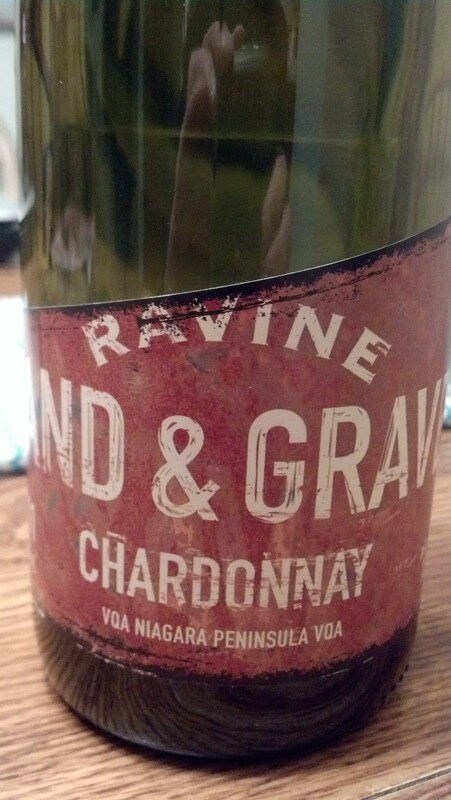 Ravine Sand and Gravel Chardonnay | Wine Splash! Whenever I plan a trip to the Niagara region in Canada, I always include a stop at Ravine Winery because the quality of all their wines are so high! This Ravine Sand and Gravel Chardonnay is no exception. Straw yellow in my glass with fragrances of bright citrus, stone fruit, and hyacinth. Medium bodied with a tangy mouth feel. Tropical flavors of tangerine, pineapple, and ripe mango. On the second sip, more ripe flavors of citrus and notes of nutmeg and toasty oak on the long finish. Refreshing and fruity without being sweet. 90 Points! Can’t wait til my next visit to pick up more! WineSplashing!